&Tradition’s FlowerPot VP3 table lamp is a design classic from 1969, created by Verner Panton. 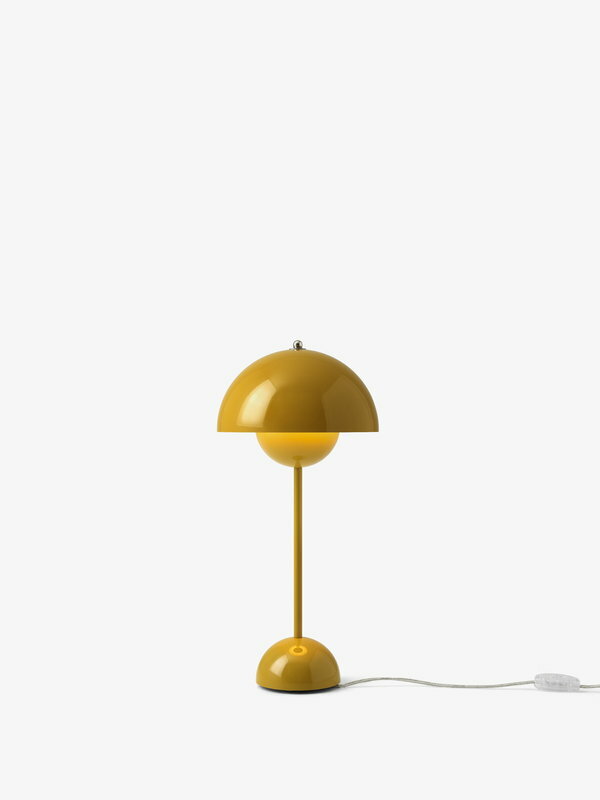 The joyful lamp was inspired by peace, love and age of Flower Power, and it became a true design icon soon after its launch. The silhouette of FlowerPot is created by two hemispheres, which let the light reflect down in a soft, pleasant manner. 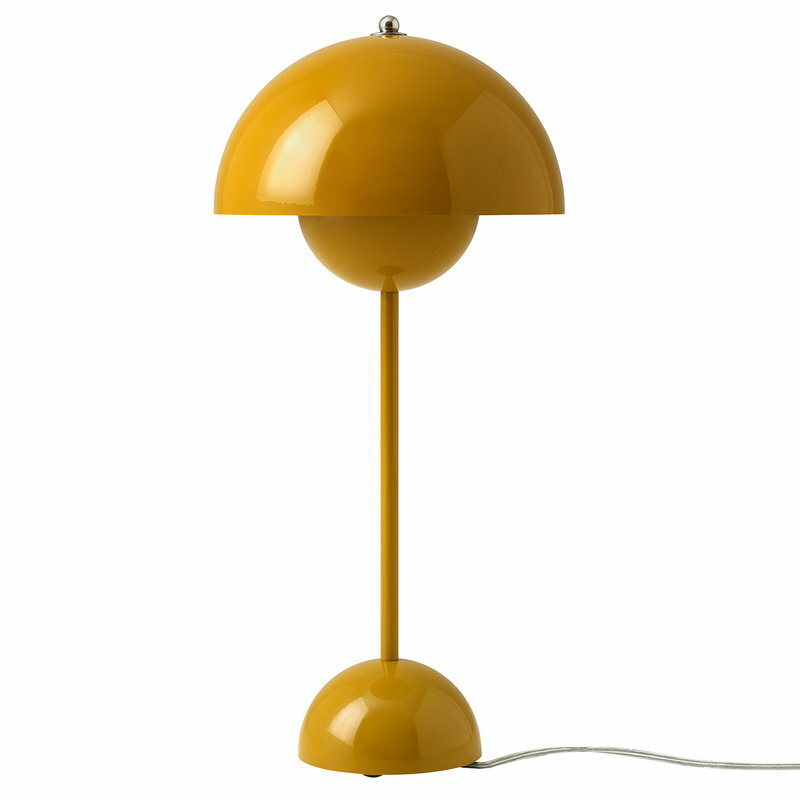 VP3 lamp also stands on a hemisphere-shaped base. 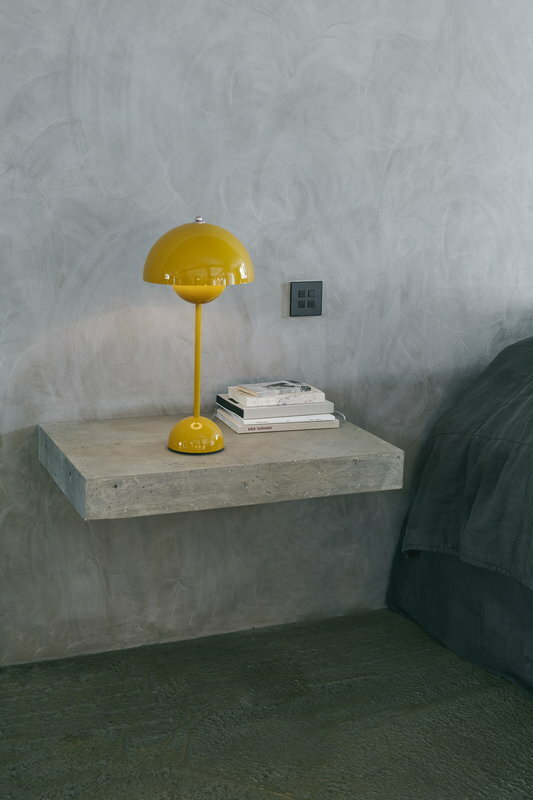 FlowerPot table lamp makes a distinctive eye-catcher of the living room or an atmospheric luminaire of the bedside table.